Cecile pulled into the parking lot of the odd little shop. It hadn’t been there the day before. 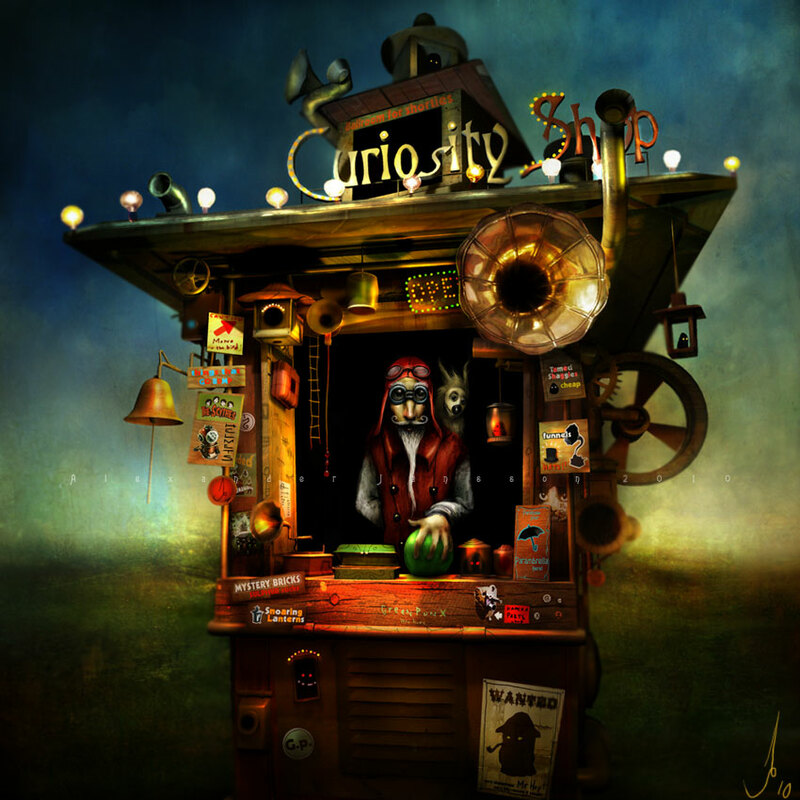 Glancing at the sign that read simply, The Curiosity Shop, she didn’t question its sudden appearance. She had been looking for it for a month now and had known she wouldn’t find the place in the usual manor, and that it would find her instead. Opening her car door, Cecile hurried across the lot, afraid the shop would disappear before she was inside. Once there, she breathed a sigh of relief, her eyes searching the store for the proprietor. She barely noticed the oddities that lined the shelves and tables scattered throughout the room. “May I help you?” The voice came from behind her. Closing the door to her apartment, Cecile leaned against the wall. On the way home, she had looked in the rearview mirror once and seen Jason staring back at her, his eyes black with rage. She hadn’t looked again after that. “Mommy!” Abby ran into the hallway, her impish smile lifting Cecile’s spirit. Laurie stood behind her, pale, her belly distended. She was due in another week, but Cecile worried she wouldn’t make it. Jason would see her dead before she delivered his child. Unless they stopped him. “You found it,” Laurie said, motioning to the large package that Cecile carried. Cecile set the package up against the wall and instructed Abby to go next door to Mrs. Whitman’s. Once she was gone, Cecile uncovered the object. “A mirror?” Laurie’s voice trembled. Jason always showed up in mirrors. “We have to trap him inside of it.” Cecile positioned it in the middle of the room. The mirror was full length, allowing a person to view themselves from head to foot. Once she had it where she wanted, she placed candles around the room, lighting them. “Why me?” Laurie’s voice was shaking. Then she saw him, standing behind her. He held a rope in his hand. She felt it around her throat, pulling tight and choking her. Gurgling, she looked towards Cecile. Cecile stood there and watched. Laurie reached for the rope around her neck. There was nothing there, but she was choking. Still, Cecile did nothing. Just before Laurie passed out, she stepped in front of the mirror, striking the glass with a glass stake the old woman had given her. Jason screamed as the glass shattered. His soul was now trapped inside the stake. When the ambulance arrived, Laurie was dead, her belly no longer distended from pregnancy. There was no sign she had been pregnant. The baby was just gone. The doctors puzzled over it. Televangelists called it a miracle of God. The gossip papers claimed it was an alien abduction. But Cecile knew the truth. The baby was with the old woman, waiting to take her place in The Curiosity Shop. This is definitely one of your best stories, my friend. Exquisite!So many twists and turns. Wow, there's a lot there--and I sense a history to that curiosity shop. I can imagine it featuring in many more stories than this one and the wedding veil--though I'll definitely have to look into the veil when I have time. Very classic dark fairy-tale feel to the old woman's powers and price.